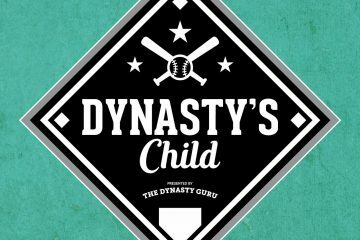 Is Byron Buxton The Best Fantasy Prospect In Baseball? In case you’ve been living under a rock, Byron Buxton is having a decent season so far in Single-A. Last year’s second overall selection boasts a modest .333/.435/.545 line through 240 PA, good for a wRC+ of 174. He’s walking and striking out nearly equally, which is remarkable for a player previously believed to need work on his approach. Yes, his BABIP is .386, but Buxton also has 26 stolen bases, and his speed is likely to lift his BABIP for much of his career. He’s already hit 7 homers and 12 doubles. Buxton is beating on Single-A as a 19-year-old, and the hype train is picking up plenty of speed. There’s perhaps no better example of that than this recent piece by Jason Parks (subscription required), in which 18 of 20 scouts pick Buxton over Miguel Sano when asked who they believe is the superior prospect. When you consider how good Sano is – and that the two were largely considered interchangeable atop the Twins list in preseason rankings – that’s actually a pretty surprising result. “Sano could change the fortunes of a team, Buxton could change the fortunes of the league. I think he could be that special,” read one scout’s review. “Potential to be the best player in the game. Elite.”Buxton’s comps in that piece were about who you’d expect. Mike Trout was thrown around a few times, while one scout called him “Eric Davis” with a better bat. In the past, we’ve all seen comparisons ranging from Matt Kemp to Andrew McCutchen to Jacoby Ellsbury to Drew Stubbs. Many believed Buxton to be the best overall player in the 2012 draft, so perhaps his dominance shouldn’t come as such a surprise. But now that we’ve seen Buxton truly start to put his tools on display, what does this do for his Fantasy value. 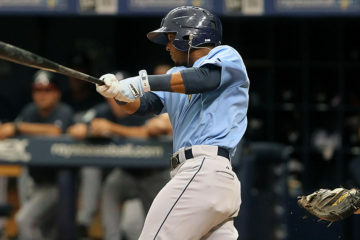 As my title asks in non-rhetorical fashion, is Buxton the best Fantasy prospect in the game? If you say yes, I think you’re a little crazy, but not entirely crazy. I’d still take Oscar Taveras, Xander Bogaerts and Jurickson Profar over him, and considering all that could go wrong with Buxton over the next two-three years, you wouldn’t be crazy for taking some nearly MLB-ready studs such as Gerrit Cole or Taijuan Walker over him either. You can also make a strong case for probability and argue for Wil Myers, despite his mixed start to the season. Rather than insist that Buxton is the best overall Fantasy prospect now, I think it’s more appropriate to say he might have the highest Fantasy upside of any minor leaguer. I’m not quite sure where I’d slot Buxton now, who came in at No. 24 on my preseason Top 130 but would certainly be at least 10, and probably at least 15, spots higher if I published a new list today. traded T. Walker for him about 3 weeks ago and very excited to own him! In my keeper league, I got Buxton for Greinke in the offseason. The Greinke owner is doing everything he can to get Buxton back. oops, too late. If you don’t foresee yourself competing this year or next, yes. That’s a very strong package. The idea that the Twins organization is slow to promote top prospects is a little flawed. When they have guys who really perform, they promote them pretty regularly. The reason people think they don’t promote prospects is because they haven’t had any top prospects who forced the issue. Aaron Hicks never really impressed until last year and he started this year in the majors. But they haven’t really had any guys who have been knocking on the door. If Buxton (and Sano for that matter) keeps performing, they’ll get promoted quickly. Christian yelich from Miami is really young and an incredible hitter I would take him over byron,why is he off the list?? It’s easy to make a strong case for Yelich over Buxton. But Yelich’s upside isn’t that of Taveras/Bogaerts/Buxton. If you like Yelich, grab Marisnick as well. Almost as high an upside, and probably much easier to acquire in keeper leagues now. He injured his hand at the beginning of the year, but he noted over the last month with his hand feeling much better and changing his stance he has been living up to his ability. I’m in last place and rebuilding. Looking for the most impact even if they are years away. I have 3 open roster spots. Standard categories. Franco, Mazara and Guzman, for me, although Kingham is not a bad choice either. Williams further behind in my mind. In a dynasty league. Deep in young/milb pitching (Fernandez, Harvey, Teheran, Straily, Minor, Guerrieri, Walker, Zimmer, Gausman, Doubront, Jorge De La Rosa, Grimm, Nolasco). My milb offense is strong as well (Bogaerts, Yelich, Myers, Sano, Correa, Rendon, Olt) but my MLB offense leaves a lot to be desired (only ones worth mentioning are W. Ramos, Mesoraco, Butler, Kipnis, S. Castro, Hosmer, Pagan, Maybin, Brantley, Carpenter). So looking to trade pitching for a prospect bat. My ETA to compete was supposed to be 14/15, but I’ve managed to stay in the top 3 through most of the year thanks to my pitching. Would you prefer going after Buxton or Puig? I’ve offered Walker or Gausman for Puig, but figure neither one will do it. I’m considering offering Fernandez for Puig. Thoughts on that? I’ve been rebuffed in my attempt to grab Buxton for T. Walker. Not sure how much higher I want to go for Buxton since he’s 1.5-2 years away at best. Don’t think I’d do Fernandez, and not sure I’d even want to do Gausman (although that probably wouldn’t be enough anyway). What do you think? Whoops. Sorry for the multiple posts. I have vets like Rollins/Gardner/de Aza playing just to stay in it, or lack there of. I plan on dumping them for some up and coming pitching like Appel/K Gibson/Taillon and the likes. I’m hoping the big risks turn into rewards. In my hitters, I see at least six guys that should be at the top of their positions.